Lonzo Ball could be joining the Nike family after severing ties with his family's label, Big Baller Brand. The Lakers guard posted a picture on Saturday with the caption "moving on to bigger and better things." The post featured Ball wearing a Nike uniform, his No. 2 jersey hanging from the rafters in the STAPLES Center and a Nike slogan. Ball cut ties with Big Baller Brand co-owner Alan Foster on Friday after $1.5 million went missing, with Foster suspected to be involved. Ball also scrubbed his social media accounts from any reference to Big Baller Brand. Ball told ESPN that the family believes Foster used them to "enrich" himself, ultimately stealing from the company. Foster is a friend of Ball's father, LaVar, and owns 16.3 percent of the company. "(Foster has) used his access to my business and personal finances to enrich himself," Ball said. "As a result, I have decided to sever all ties with Alan, effective immediately." According to the report, Lonzo's financial advisor was the one who raised concerns about the company's finances to LaVar last fall. But it wasn't until this week that LaVar fully read the emails and financial statements, leaving him "stunned." "I've always believed in the best in people. Regretfully, I put my complete trust in Alan Foster to manage my son's business affairs," LaVar said in a statement to ESPN. "At the end of the day, family comes first, and I support Zo wholeheartedly. Together, we will make this right." Adding fuel to the fire, Lonzo's manager, Darren Moore, posted a video of him throwing away a pair of Big Baller Brand shoes on Monday. 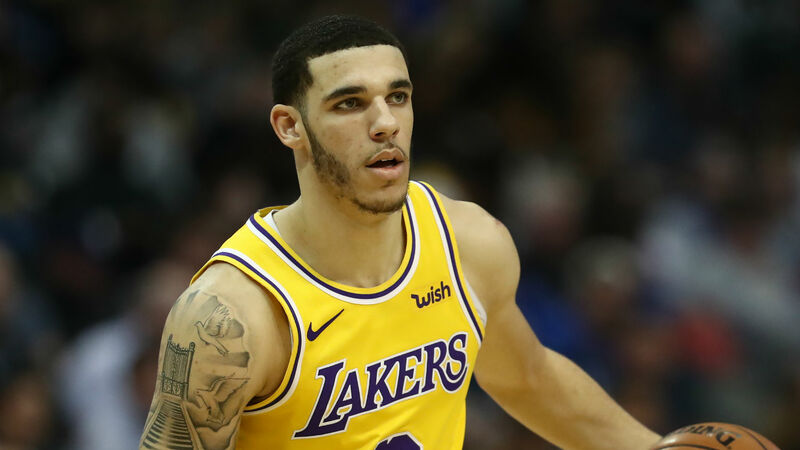 According to documents obtained by ESPN, Lonzo owns 51 percent of Big Baller Brand, while LaVar owns 16.4 percent and Lonzo's mother, Tina, owns the remaining 16.3 percent. It's unclear how the business will shake out and whether Foster will be forced to give up his 16.3 percent share. The 21-year-old may have been ruled out for the season due to an ankle injury, but could pursue other ventures off the court. The Lakers officially were eliminated from playoff contention against the Nets on Friday, so Ball could already be looking ahead to next year. Ball hasn't appeared in a game for Los Angeles since Jan. 19. He is averaging 9.9 points, 5.3 rebounds and 5.4 assists in 2018-19.